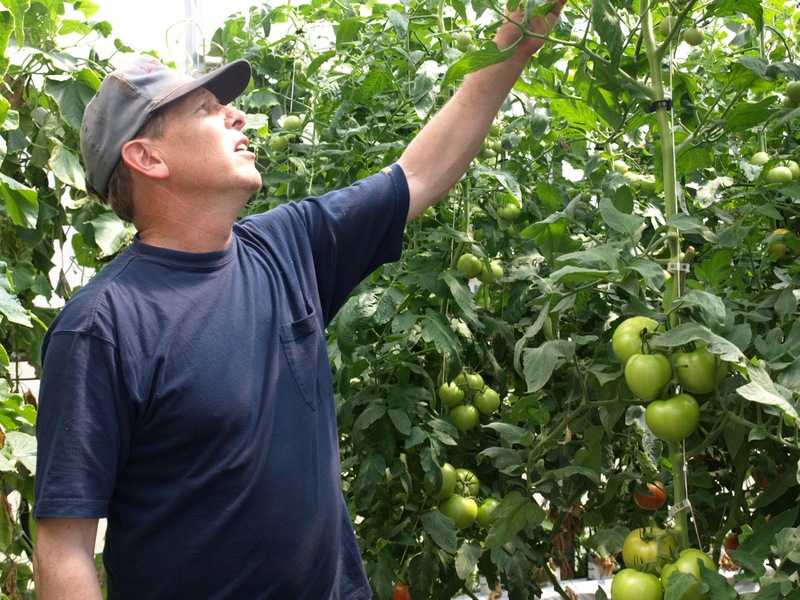 Walt Harris knows how to keep the sweet corn, tomatoes, squash, and other fresh products he grows for local grocers and his own farm market in northern Michigan’s Benzie County safe to eat. “I’ve been accused of being downright phobic at times when it comes to keeping things clean,” he says. But Harris’ attention to food safety detail is not enough to earn him the credentials he will need to sell crops to grocery stores, schools, restaurants, and others. Buyers are increasingly asking farms to produce documents that show they have passed rigorous food safety inspections based on USDA guidelines called Good Agricultural Practices, or GAP. To pass GAP-based food safety certifications, farms must produce extensive food safety plans and keep thorough records. They must also pay inspectors $96 an hour, including travel time. In 2009, the cost for one audit ranged from $92 to $1,600. A farm that produces a variety of fruits and vegetables is likely to need more than one audit to cover all the crops. “It’s hard for most anybody to part with $1,000,” Harris says. It’s especially difficult when little technicalities during an audit could cause a farm to fail and lose that money. Benefits of cost sharing. To help farms and their communities seize such opportunities, Michigan should implement a food safety audit cost-share or reimbursement program targeted at small and medium-sized farms. That’s the direction hundreds of Michigan citizens and organizations provided lawmakers in the Michigan Good Food Charter, a state policy platform developed in 2009 with widespread grassroots involvement. Such direct assistance with the high cost of food safety audits is a relatively low-cost way to support new business and jobs in Michigan agriculture. Studies show that Michigan can generate significant numbers of jobs by helping the state’s farms market their fresh and local produce. One 2008 analysis shows Michigan could generate 1,780 new jobs and $211 million in personal income if residents ate recommended amounts of fruits and vegetables, and if that produce came from Michigan when in season (Conner et al, 2008). Sales potential. This opportunity is now. Schools, universities, and hospitals are among large-volume buyers now seeking local farm foods as a way to put fresher tastes on students’ and patients’ plates while also supporting their local economies. In the summer of 2011, half of Michigan’s 150 hospitals signed pledges to source 20 percent of their food by 2020 from Michigan producers. K-12 schools and universities also are in the market. Michigan has 60 active farm-to-school programs, and many institutions like Michigan State University are on course to source 20 percent Michigan food by 2020. Twenty percent of Michigan’s current K-12 and university food expenditures amounts to $50 million per year. It is a significant opportunity for farmers across Michigan. I've never heard of that. And it was very Custom Essay Penmanship Services interesting (probably even useful) to me. Thanks! I hope you'll add more here soon! It's true. Even a little help with paperwork really can boost farms’ sales. And if you don't know where you can get it - go and check review of BestResearchPaper.com. You can pick the best paper writing service there and get helped with everything you need. That service is my salvation. Literally.